Today I made a decision. I spoke with Jack about a week ago about rejoining our gym. I wanted to but kept on going back and forth. I logged onto the website this morning and they had a special going on: no membership sign up fee and one month free. I decided to do it. 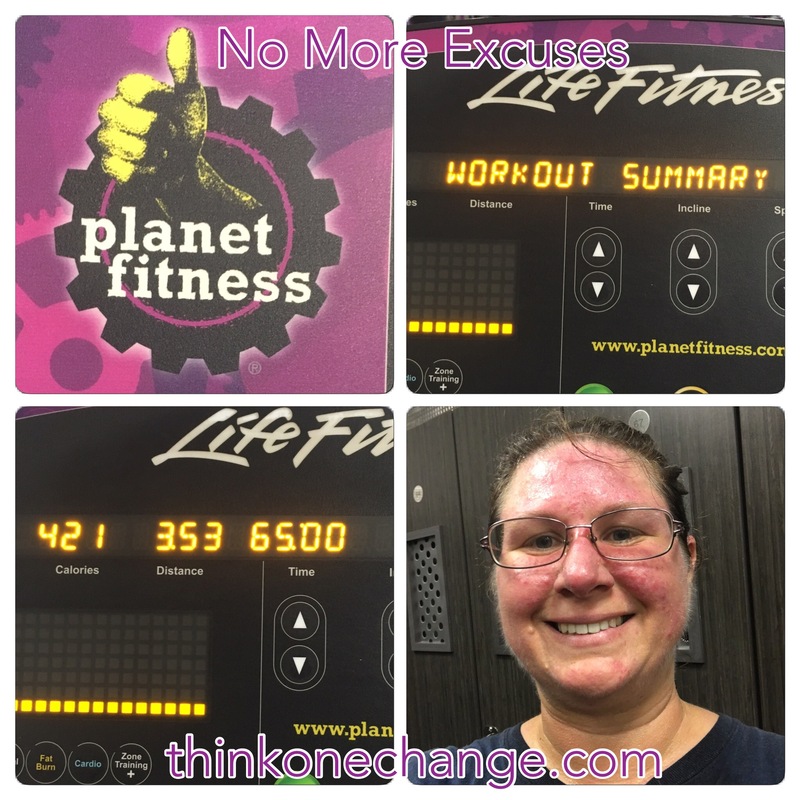 I signed up, I got up, I got dressed, essential oiled up, took extra Juice Plus, I packed a bag and I went to the gym and worked out! I didn’t make a single excuse. It used to be: “I’ll start Monday.”, “The 1st of the month is when I begin. It gives me time to prepare.”, “Just one more day to get all the good stuff in.” And it could keep on going on. Today is a Tuesday. Today is the 13th of the month. Today was the day I made a decision and went for it. No more excuses for me. Six months of doing good and it’s time to take it to the next level. As I sit here, I feel it. Tomorrow I will feel it. Did I overdo it? Maybe but I did it. The best part of today: while showering I realized my fat bump on my calves are gone! Right below my knees on the top of my calf I get this fat bump when I’m making more bad choices than good. Today they are gone!